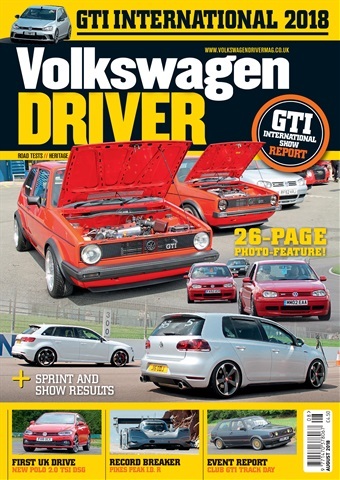 Well before I started Volkswizard in 2002, I was writing for VW magazines and it all began with the story of my first Mk2 Golf GTI in 1997. Here is a summary of my published work since then and other interesting snippets that have seen both me and 'Volkswizard' appear in print and even on TV. 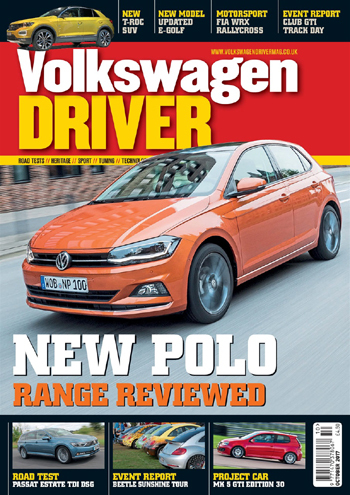 UPDATE - IN FEBRUARY 2019 AUTOMETRIX PUBLICATIONS WENT OUT OF BUSINESS TAKING VW DRIVER AND AUDI DRIVER MAGAZINES ALONG WITH IT - WHILE WRITING HAS BEEN LARGELY A HOBBY FOR ME, I DO ENJOY IT AND WELCOME ANY OFFERS OF FREELANCE WORK WHICH MY BROAD EXPERIENCE OF THESE BRANDS WILL MAKE ME PARTICULARLY SUITABLE FOR. In March 2019 I got my first media event invite to simply film for my Volkswizard YouTube channel, not write, a very significant occasion. The new R8 is going to be a hard act to follow but with so much happening in 2019 with Audi it's going to be a very exciting year. 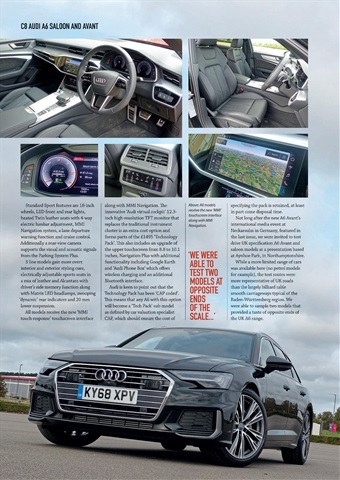 I was honoured to make a guest appearance in the April 2019 issue of CAR magazine where I was asked for comment on owning an Up! 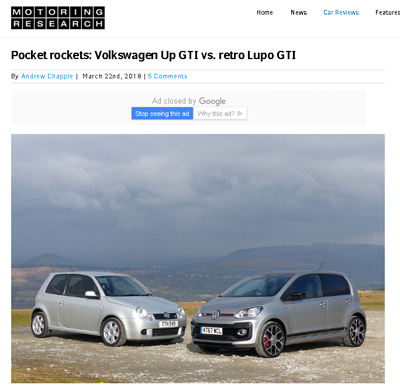 GTI by writer Jake Groves who runs a long term test example himself. 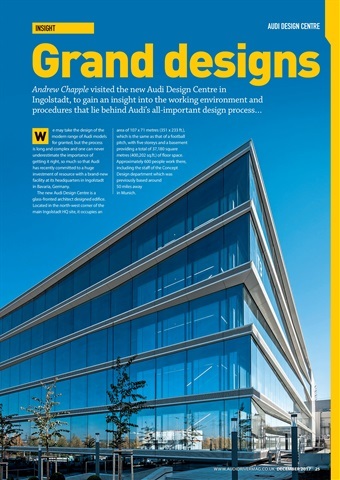 January 2019 (THE LAST ISSUE!) 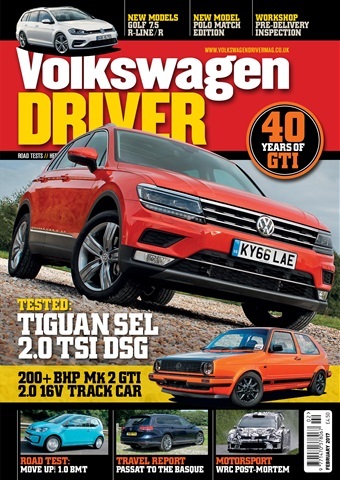 : In this issue of VW Driver I upgrade the standard bulbs in Project GTI with a mixture of LED and uprated halogen bulbs from German lighting company OSRAM. 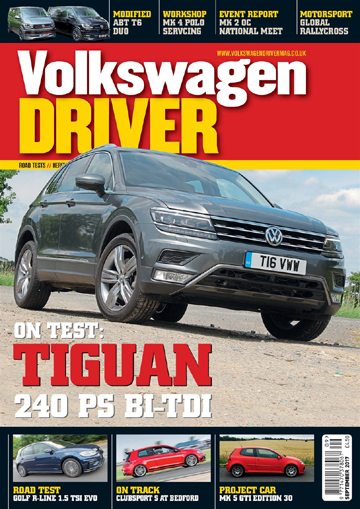 December 2018 : In this issue of VW Driver magazine I fit an ITG panel filter to an Up! GTI and grace Project GTI with a front strut brace, front lower brace and rear anti-roll bar from Ultra Racing in an attempt to neutralise the handling and minimise understeer. 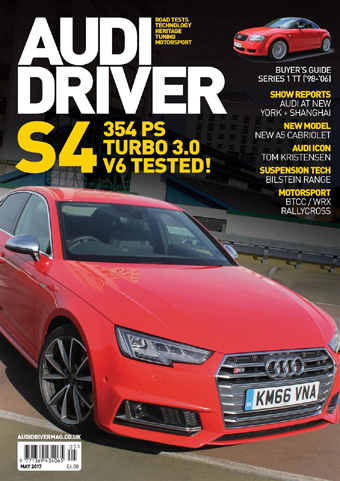 November 2018 : In this issue of Audi Driver magazine I drive the new A6 saloon and Avant range in the UK. 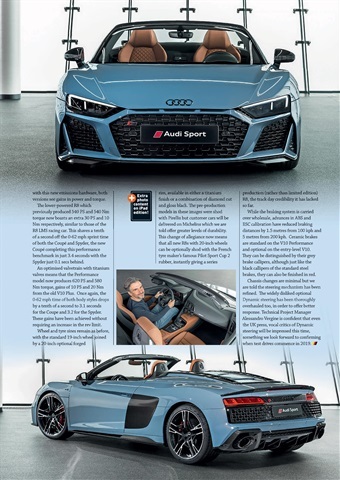 Also included is my preview report on the facelifted Mk2 R8 which I viewed six weeks ahead of its official reveal at the Böllinger Höfe production facility near Neckarsulm. When I got back to the UK, I made a video with a pre-facelift R8 and used the images from the preview to compare the two. This went live the second the embargo was lifted and has proven quite popular. 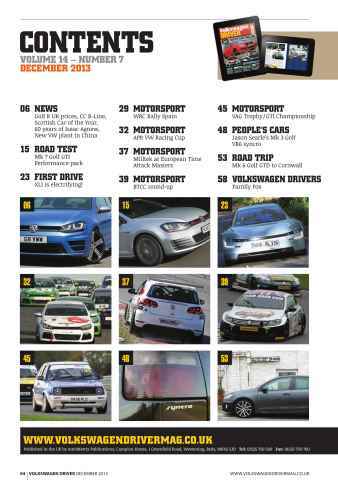 November 2018 : In this issue of Volkswagen Driver magazine I put a brand new set of Pirelli Trofeo R tyres to the test on Project GTI and go chasing Porsches at Bedford Autodrome (well until the noise police decided it was too loud!). 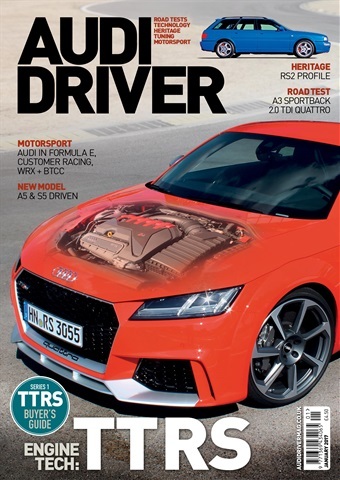 October 2018 : In this issue of Audi Driver magazine I return to Neckarsulm exactly a decade after my first visit when I drove there in my B5 RS4 Avant. This time I was also driving an Avant but it was the new A6 at its international media event. I also made a video of my test drive. This was the first Audi press event that I'd been invited to directly (although it might have been in error!). 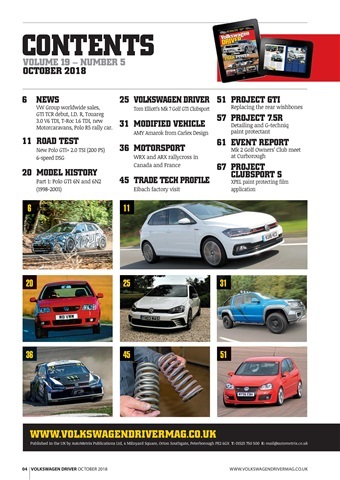 October 2018 : In this issue of VW Driver magazine I replace the rear suspension arms on Project GTI. These had been deemed useless when I had the suspension aligned because the adjustment bolt/bush had seized so I took great pleasure in cutting them off and replacing them with brand new OE quality parts from Meyle for a fraction of the genuine VW price. 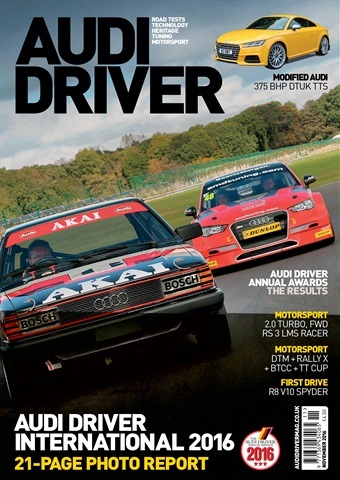 September 2018 : In this issue of VW Driver magazine I visit APS of Brackley for one of the few jobs I didn't do myself on Project GTI and that's to fit a SuperPro anti-lift kit. 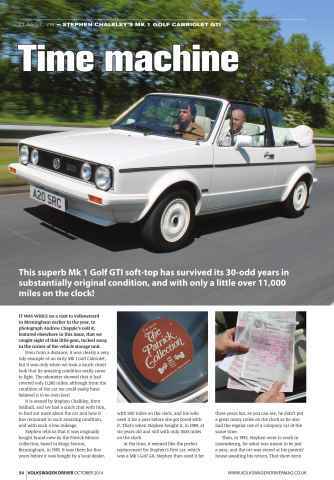 There is also a great story on an intrepid owner driving his 1983 Mk1 Golf GL to the VW factory in Wolfsburg. 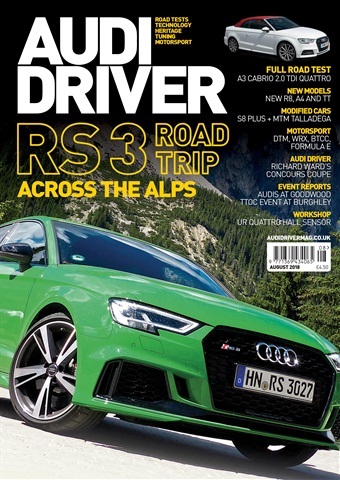 September 2018 : It's unusual for Audi Driver magazine to run a two part feature but my eight days with 'Kermit' the Viper green RS3 were so action packed that it didn't take much effort to fill another six pages in this issue. I liked this car so much I actually bought one and only sold it when I finally tracked down a decent late model Mk1 Audi R8. 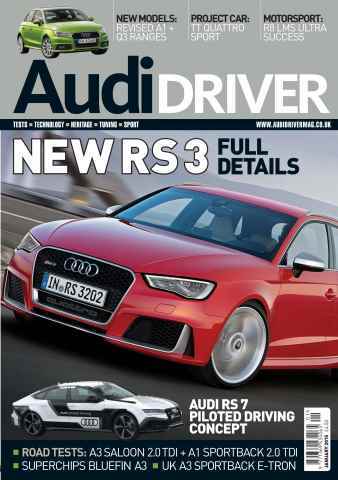 The above video is a review of the RS3 on the beautiful mountain passes of the South Tyrol where it was in its element. 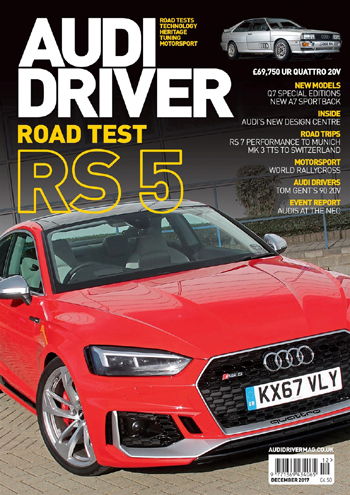 August 2018 : In this issue of Audi Driver magazine I report on part 1 of my Alpine road trip in the 'Audi on Demand' borrowed Audi RS 3 saloon. I absolutely fell in love with this car which was perfect for the trip. 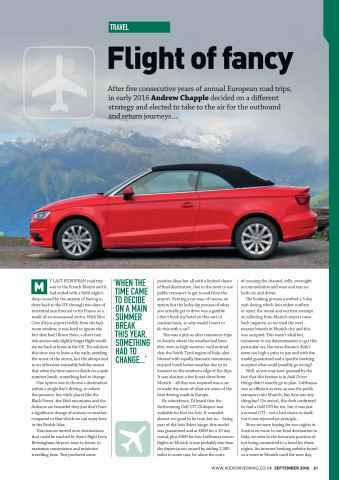 I even liked the colour as presumably did the Editor who deemed this shot sufficiently good for my first ever Audi Driver magazine cover. It was taken outside the tourist office in the town of Corvara, a ski resort in the Dolomites which purely by coincidence has a mobility relationship with Audi. I also produced 4 videos, the above documented the collection of the car from Munich and the drive across the Alps to the South Tyrol region of Italy. 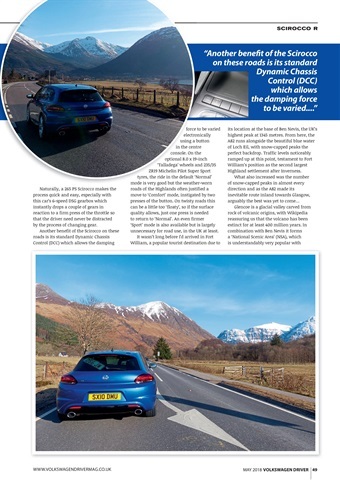 There are also videos about the Stelvio Pass, one purely indulging in the exhaust noise as well as the one accompanying the September issue above which is more of a review of what is a truly incredible car. 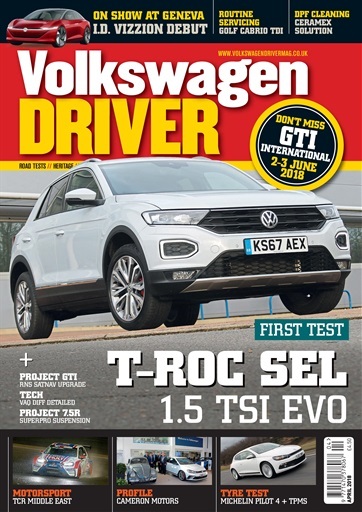 August 2018 : In this issue of VW Driver magazine I again manage a bit of a scoop with a review of the new Polo GTI well ahead of when the magazine had access to an official press car to test. This was thanks to the very helpful Joe Knight from T.L. Darby VW in Burton on Trent who got in touch in January to offer me the car when it arrived which it eventually did in early June. 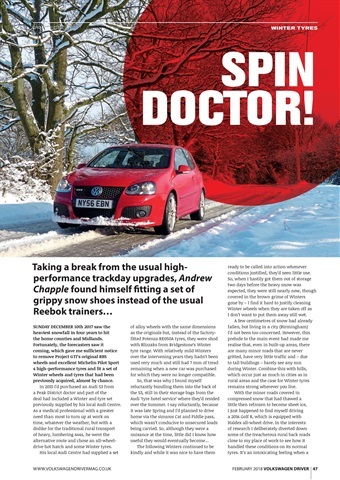 We also made a video together which was the very first UK video of the new Polo GTI and has proven very popular. Much like the early Up! 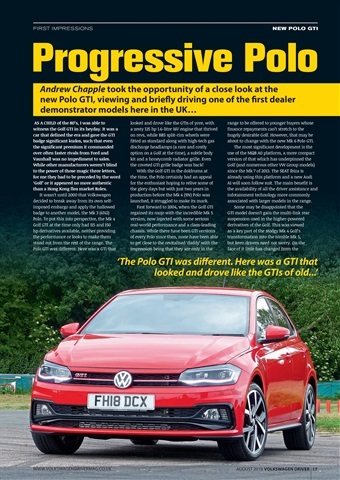 GTI video, It probably didn't go down too well with VW UK Press Office but if they actually invited me to events and let me borrow the odd car then I'd have to tow the line. 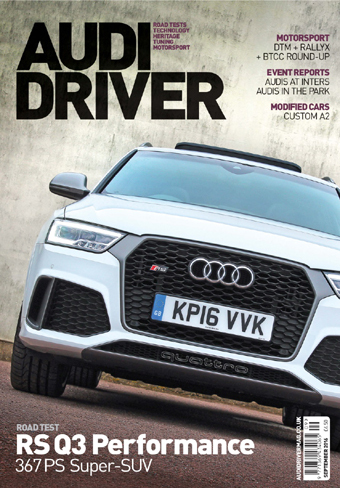 After all 77,000 views (as of January 2019) is nearly double the circulation of some of the most popular car magazines and it will no doubt keep going. 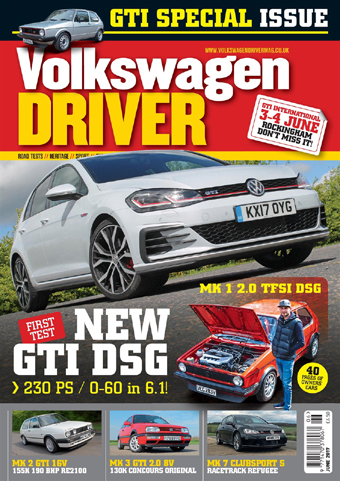 July 2018 : In this issue of VW Driver, I visit Stealth Racing in Southam, Warwickshire to have Project GTI rolling roaded where it produced a healthy 304 bhp. We did a before and after dyno session and the higher figure was thanks to the fitting of a Jetex stainless steel exhaust and panel filter - without it, it was around 290. 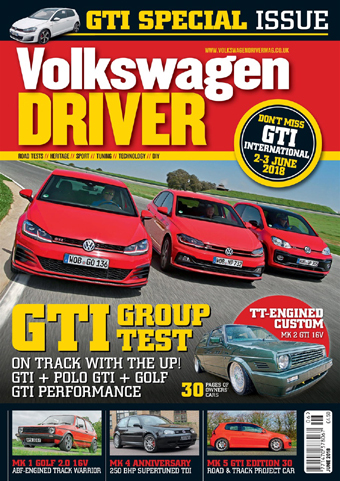 June 2018 : In this GTI special issue of VW Driver magazine I write a summary so far of Project GTI. 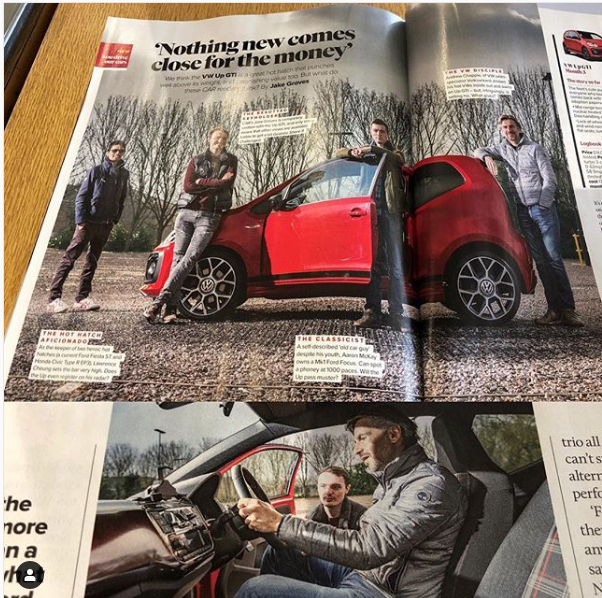 This gave the mag the chance to reuse a picture of Project GTI taken at Rockingham by EVO magazine staff photographer Aston Parrott, the cost of which still gives the editor indigestion. There was no other way we could have had a supporting image from that event which was the car's track debut in August 2017 so without it there was no story. So thank you Aston for supporting our modest little magazine! 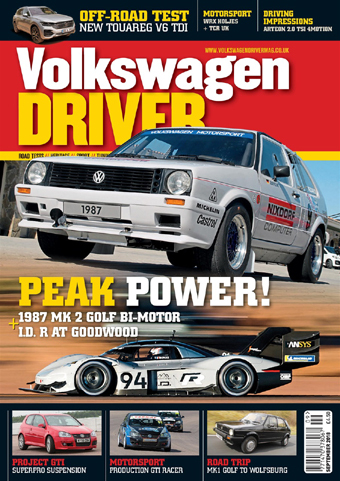 April 2018 : In this issue of VW Driver magazine, I write another 5 pages on the Up! GTI following my visit to the UK media event in South Wales and produce a DIY article on how to install VW RNS 510 Navigation and Bluetooth into Project GTI. 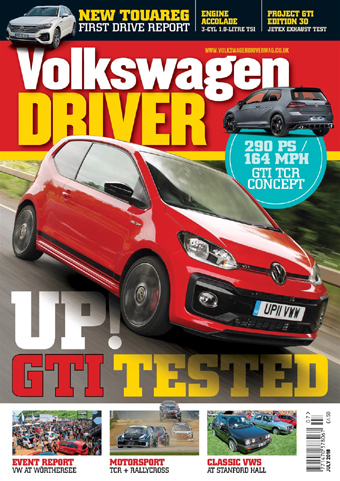 March 2018 : In this issue of VW Driver magazine I report on repairing the air conditioning on Project GTI and a scoop test drive of the new VW Up! GTI on Cotswold country roads, weeks ahead of the official UK press drive. This was the first time one of my photographs had graced formed front cover main image which was a very proud moment! I also made a video which was the very first UK review of the Up! GTI. It's not perfect but I look back it with affection and I am so pleased my excitement over this unremarkable on paper car has been reflected by most people who have been lucky enough to get behind the wheel since! 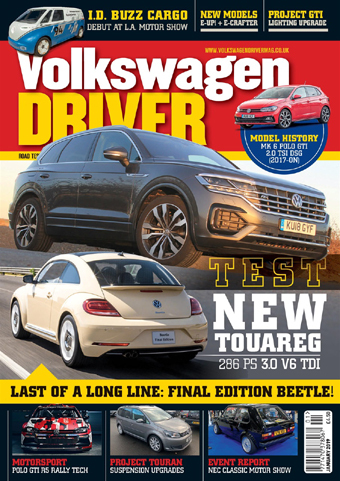 January 2018 : This issue of VW Driver magazine sees me getting my hands dirty and completing 2 workshop jobs. The first is a cambelt change on Project GTI. The other is the installation of OSRAM's excellent LEDriving XENARC headlamp kit to a Mk6 Golf. I also made an installation video which has done quite well. They are quite hard to film on your own but I do enjoy making them. 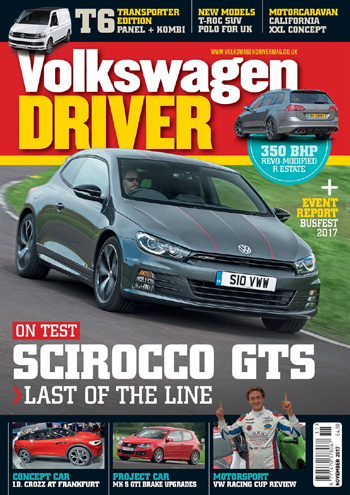 December 2017 : This issue of Volkswagen Driver includes my interview with Clubsport S 'ring record driver Benny Leuchter and episode 4 of Project GTI which has also been to the Nuerburgring! 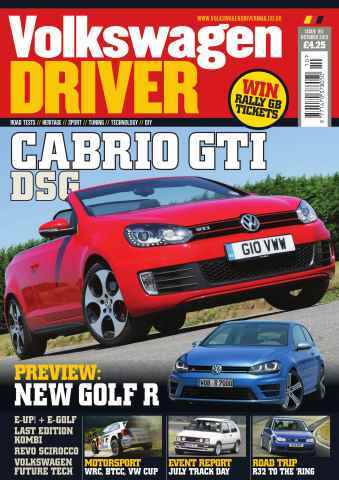 November 2017 : This issue of Volkswagen Driver magazine includes episode 3 of Project GTI in which I report on the first track day with the uprated R32 spec EBC/Bigg Red/Goodridge brakes. I also report on Peter Felix's return to the VW Racing Cup and his partnership with SONIC equipment. 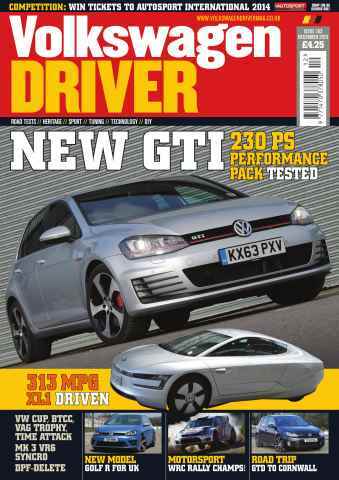 September 2017 : This issue of Volkswagen Driver magazine includes an introduction feature on Project GTI, a 2007 Golf GTI Edition 30 which I will be restoring and improving over the coming months with help from Goodridge hoses, EBC brakes, Bigg Red caliper refurbishers, NGK spark plugs, Michelin tyres. I seem to have a habit of buying cars just as they are rock bottom in price then running them as a track/restoration project. 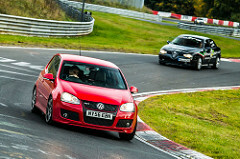 Previous cars have included 3 Corrado VR6s, Mk4 Golf R32 and Audi TT quattro Sport. This one is by far the best though as it's got a great chassis and thanks to a Revo remap by a previous owner, it goes like stink. 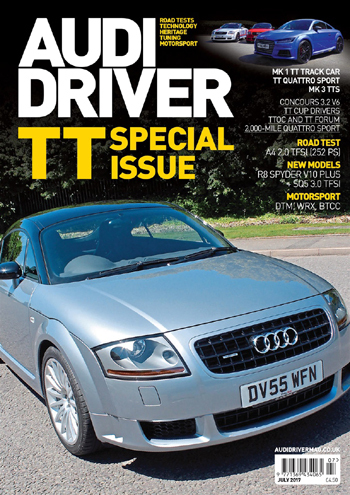 July 2017 : This issue of Audi Driver was a TT Special and included a feature I wrote on a limited edition Audi TT quattro Sport 240 with just 2000 miles on the clock - it was also my first ever Audi Driver front cover car. 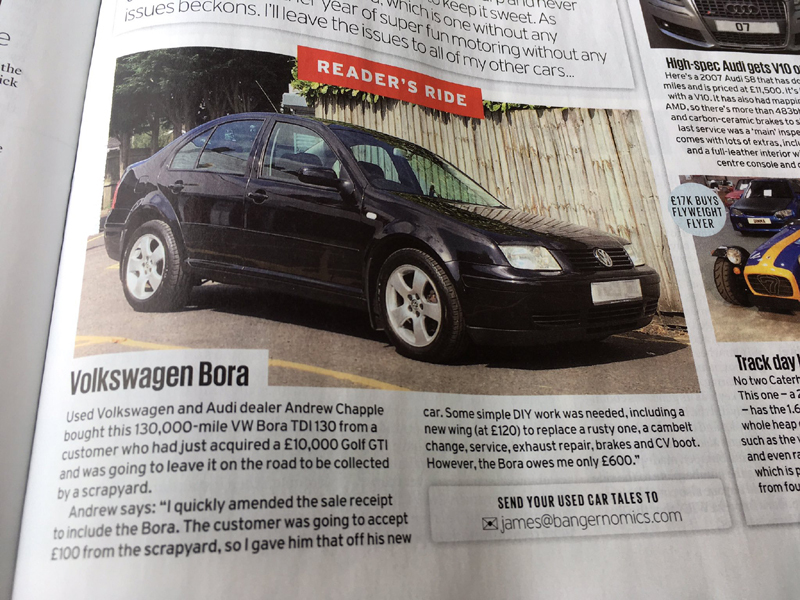 June 2017 : The 7th June issue of Autocar saw my £100 Bora featured in the Reader's Rides section in the used car pages of Autocar thanks to an invite to submit my details from James Ruppert via Twitter. This car was all ready to scrapped but I couldn't let that happen and got it driving nicely and looking good for minimal expense and used it daily for another year until it was traded in under the scrappage scheme for a new VW Up! GTI (and the rest is history!). 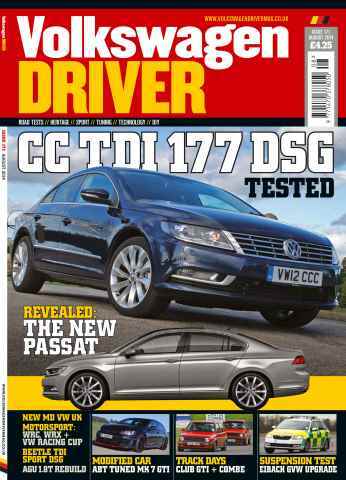 July 2017 : This issue of Volkswagen Driver magazine featured my 4 page First Drive report on the VW Arteon, the significantly more upmarket replacement for the 'CC'. It was a proud moment being given the keys to my first 'WOB' press car at the international press launch in Hanover, Germany. 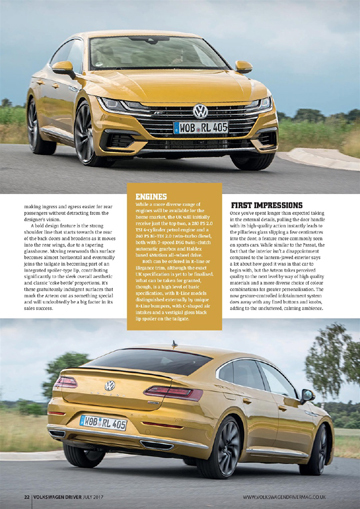 The report was enhanced massively by a quick session with Charlie Magee, a professional photographer that VW made available and whose work is often seen in CAR magazine. The return flight was delayed so I hung around with Mat Watson & Sam from Car Wow who were really friendly, not always the case in these situations when everyone is tired, hungry and desperate to get home. 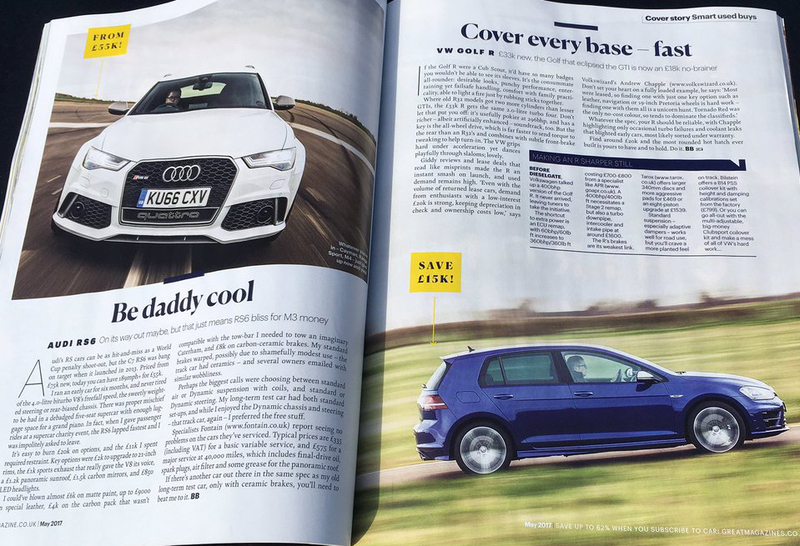 May 2017 : I had my 4th mention in 'CAR' when I submitted 250 words of advice on buying a used Mk7 Golf R. ' CAR' recently celebrated its 50th birthday and is one of the worlds most influential and longest-standing motoring magazines. It has a global audience in excess of 1 million people a month, who read either the UK magazine, one of its nine foreign editions or its popular website. I'd recommened you buy a copy just for Ben Barry's hilarious (but creepy) road trip to Morocco in a BMW 5 series. 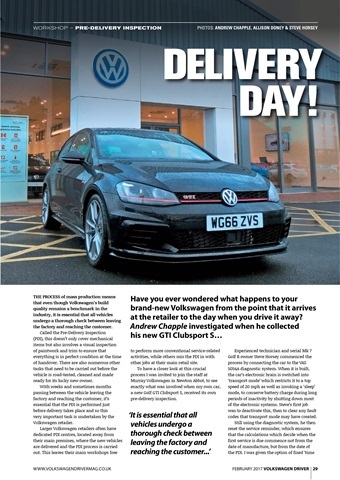 February 2017 : This issue of Volkswagen Driver featured my four page story on the pre-delivery inspection of my Mk7 Golf GTI Clubsport S which took place on the 15/12/16 at Murray Volkswagen Newton Abbot. 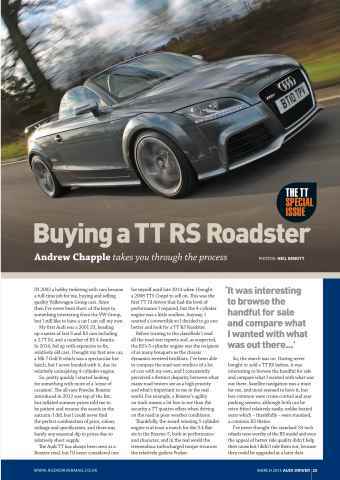 January 2017 : This issue of Audi Driver magazine features my 7 page buyers' guide to one of my favourite cars, the original TT RS. 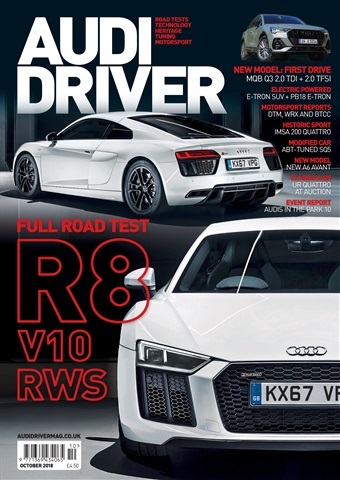 November 2016 : This issue of Audi Driver saw one of the highlights of my writing career with a trip to Barcelona to drive the new R8 V10 Spyder courtesy of Audi UK. Sadly photography wasn't a strong point due to bad weather as well as being issued with a green R8 which wasn't particularly photogenic. However it was a hoot to drive both in the sun with the roof down and also when running late and getting caught in a thunderstorm, something my story attempts to express. 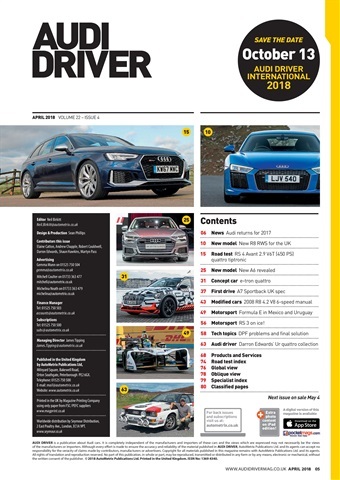 There is also a 21 page photo report on Audi Driver International, a great event I had the pleasure of visiting and I was privileged to get a couple of laps around Castle Combe in an R8 V10 Plus as a passenger with Audi Driving Experience instructor Steve Warburton. As a thank you I took a picture of him and the car which made it into print. 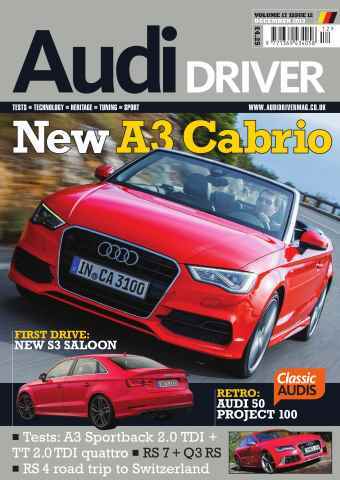 September 2016 : This issue of Audi Driver contained a 7 page feature on my recent trip to the South Tyrol region of Italy for which I rented an Audi A3 Cabriolet from Munich Airport. 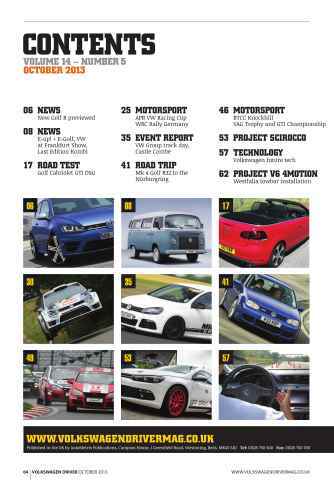 It should have been a Golf GTI Clubsport Edition 40 which would have qualified me to write a road test well ahead of any official UK press cars being made available but it wasn't to be. This was due to AVIS trying to fob me off with a normal GTI when I'd booked and paid for the Clubsport weeks ahead from their supposedly 'guaranteed' range. Still, with less than half the power we had probably twice the fun! 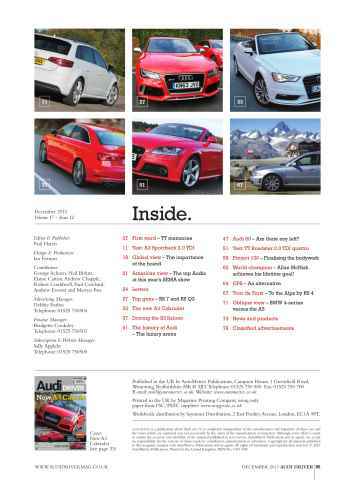 August 2016 : In June 2016 I was invited by Audi UK on behalf of Audi Driver magazine to report on the new Audi Q2 at its international press presentation in Zurich. It's not every day Audi launch a new model so it was quite a big occasion and the 24 hours passed in a bit of a blur. Being an enthusiast of not only cars but also car magazines what better way to forget you have a fear of flying than to share a private flight with members of the automotive press whose work you have been reading for years. Tradition at these events is to share a car with another journalist and being a long time reader of Evo magazine I was lucky enough to pair up with their staff writer Will Beaumont. 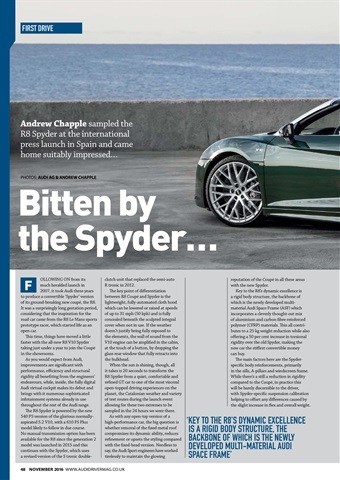 True to his magazine's remit he was keen to find out if the Q2 could offer "the thrill of driving" and surprised me by chucking the car around on the twisty mountain roads of our test route - luckily both car and driver proved very capable. There's always a lot to write about with a new model so I managed to fill 7 pages and as well as my text, quite a few of my images were used (including the yellow Q2 on the cover) which always looks better than having to rely solely on stock shots supplied by Audi.On this trip I'd heard about an Audi press event at Shelsley Walsh hillclimb, a relatively local place I had been intending to visit for many years. 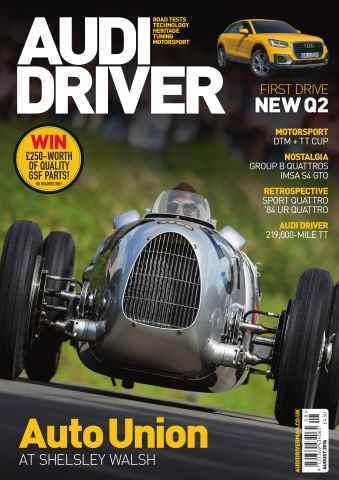 Audi's involvement was significant this year with legendary racer of Volkswagens, Audis and Porsches, Hans-Joachim Stuck piloting a 1936 Auto Union Type C grand prix car up the famous hillclimb course just as his late father did 80 years earlier. If you've ever been to Goodwood, Shelsley is like a distilled version and it was amazing to just stumble across Herr Stuck sitting casually in the barn next to the car, happily signing autographs and posing for pictures. Whilst I wasn't strictly there on business I did manage to take quite a few images, 5 of which made it into print and qualified me (somewhat undeservedly) for having my name listed alongside ex-Evo staff photographer Dean Smith who also covered the event. 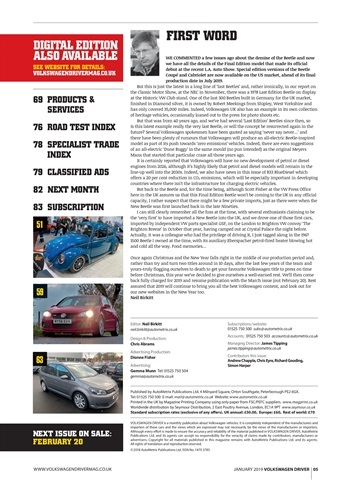 April 2016 : This month I was honoured to be asked by Ben Whitworth of probably the best car magazine in the world 'CAR' for my top 3 'Fast Volkswagens' for the regular 'Personal Dealer' section. I was encouraged to make it an interesting selection hence the inclusion of the Passat R36 which not even Ben was hugely familiar with. The Scirocco R is a nice package and the lack of the Haldex all wheel drive system gives it an edge once it's got going. 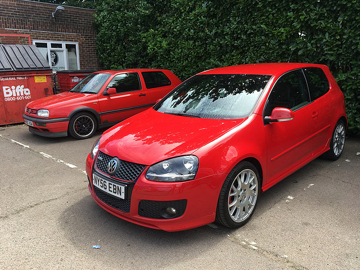 But number one was the Mk5 Golf GTI Edition 30 which is my favourite GTI of all time because unlike the classics, it's properly fast as well as handling well, proving reliable and exuding typical VW solidity. The only negative about the piece was that the prices quoted for Edition 30s which I didn't supply were incorrect and were probably for the Edition 35 instead. 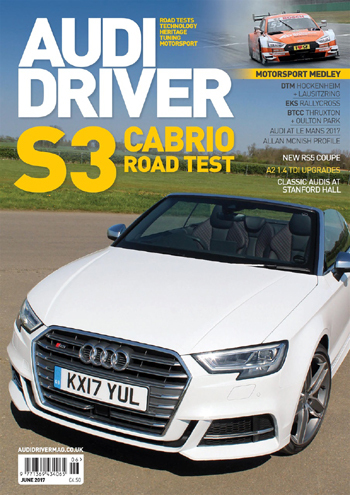 April 2016 :The only option my wife's Audi A3 lacked was cruise control so I set about producing a DIY guide for Audi Driver magazine on how to fit it. It's not the easiest of jobs and involves disconnecting airbags so the £100 or so labour to have it fitted by a professional may actually prove good value for the average owner. However it's quite fun to do and there is very little to mess up, just take your time. Before you start though, make sure your car will take cruise control and that you have all the required parts as cars are more complicated than others to install it on. 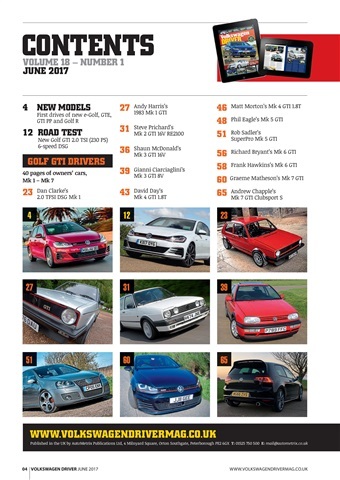 July 2015 : In this month, Fifth Gear featured my old Corrado which was our third Corrado based project car (first two were Blackberry metallic & grey). We had put them in touch with the new owner who gladly helped out and he managed to get the other sun visor signed by Tiff. Jason Plato had signed the other one when he drove it a few years earlier for a feature on whether servicing your car would give it more power. 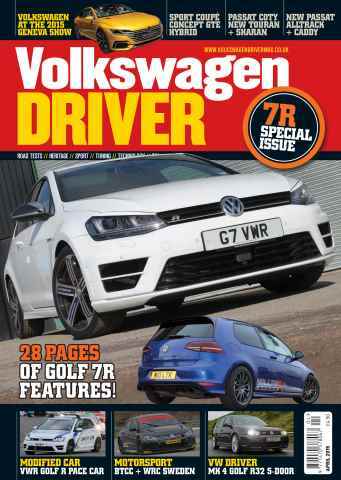 April 2015: Literally days after selling my own Mk7 Golf R which I'd owned for the past year, I was contacted by Ben Barry of CAR magazine who was after an owner's opinion on the Mk7 Golf R for the June 2015 issue. 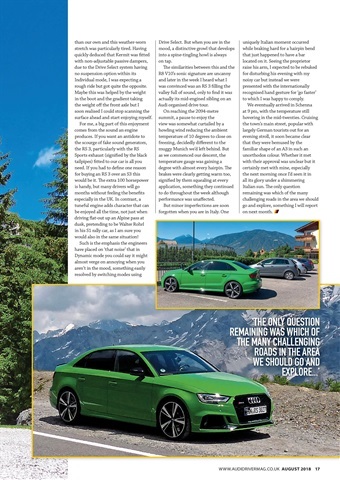 Coincidentally Ben was comparing it with a B7 Audi RS4, a car which I'd also owned for around a year and even written an Audi Driver buying guide about (see below) which Ben took inspiration from. 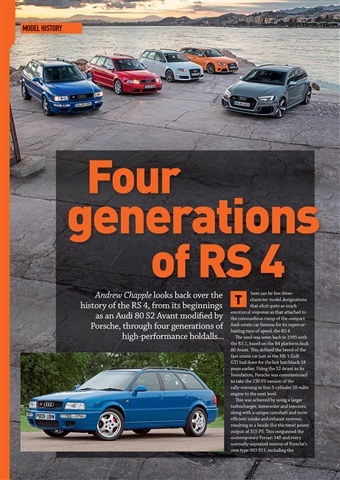 Rather than provide both owners' opinons because that would look weird, we put Ben in touch with a chap who'd bought an RS4 from us in late 2014. Which would I have? 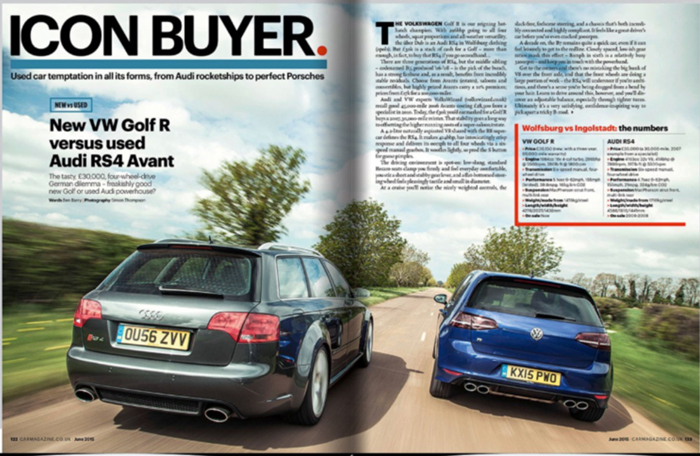 The RS4 is a great tool and a lovely thing to behold but the R is a great driving tool yet has at least as much refinement. However it falls down by being a little soulless when driven normally. Back then you could have leased a new R for around £7000 over 2 years which sounds cheap. However with RS4 prices so stable making depreciation virtually non-existent, one of the best cars Audi ever made, with a crazy rev hungry V8, Fort Knox build quality and even more practicality than the Golf could have a lower 'total cost of ownership'. Therefore...I'd take the RS4! 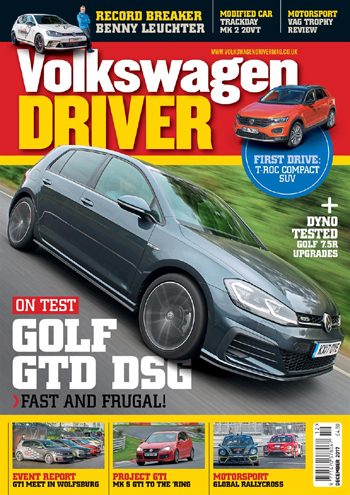 April 2015 : This issue of VW Driver was an 'R special' and my contribution to it was a step-by-step DIY oil change guide. 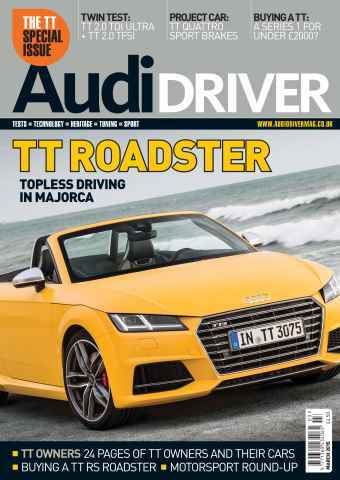 March 2015: This TT Special issue of Audi Driver magazine saw 9 pages from me, 4 pages on Project TT and 5 pages on the buying process I went through when trying to track down an exceptional TT RS Roadster. 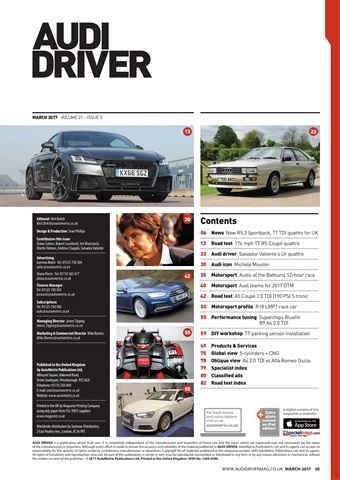 Audi Driver Magazine's Project TT (2015): Having blogged a number of project cars on this web site, a chance conversation with Audi Driver magazine publisher Paul Harris at Audi Driver International hatched a plan to document a Mk1 TT project in the magazine. 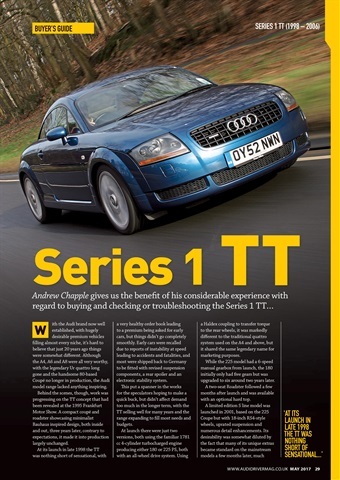 Within a couple of weeks a limited edition TT quattro Sport 240 was purchased (no, I had to pay for it!). Just 7 weeks later the introductory article was published in the January 2015 issue. 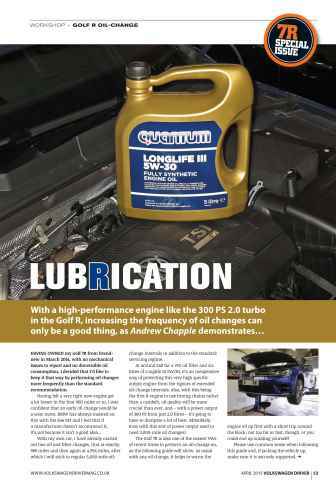 Part 2 where the sump was removed and a service performed was in the February 2015 issue and Part 3 in the March 'TT Special' issue covered replacement of the rear brakes and an MOT. The next episode featured a conversion from the standard 312mm brake discs to R32/TT 3.2 spec 334mm discs supplied by www.eurocarparts.com & using HEL braided hoses with a set of used TT 3.2 calipers refurbished by Bigg Red of Worcester. Later episodes covered the cambelt change, wheel refurbishment, tidying up of the bodywork and a few subtle modifications. 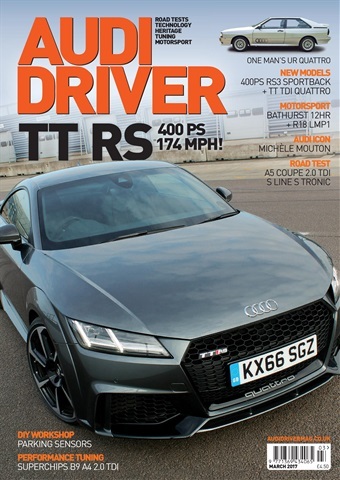 Project TT articles were featured in every issue of Audi Driver during 2015. 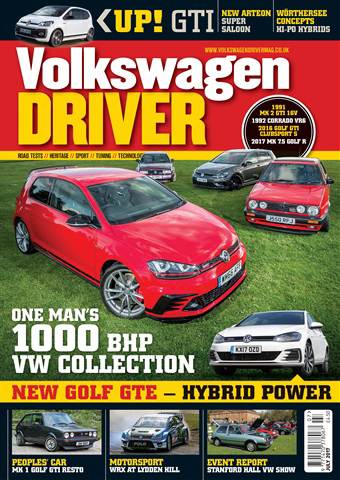 October 2014: This issue of VW Driver saw a feature on an 11,000 mile 1983 Mk1 Golf Cabriolet belonging to a friend of mine. He had it delivered to me to get back on the road after years in storage and I mentioned it to the editor who decided it was feature worthy. August 2014 : I lucky enough (!) 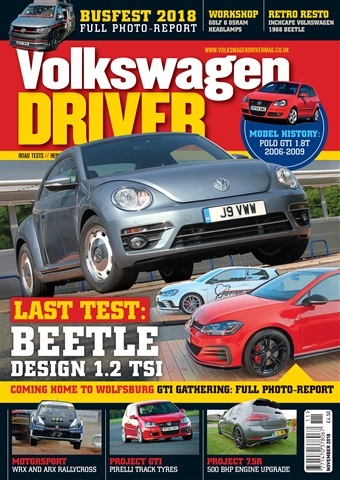 to be given a Beetle TDI courtesy car while my Golf R was in for some work and over the 3 weeks I had it, I realised how little I actually knew about VW's contribution to the retro pastiche car market. As a result I was able to fill 4 pages of the August 2014 issue with my observations. 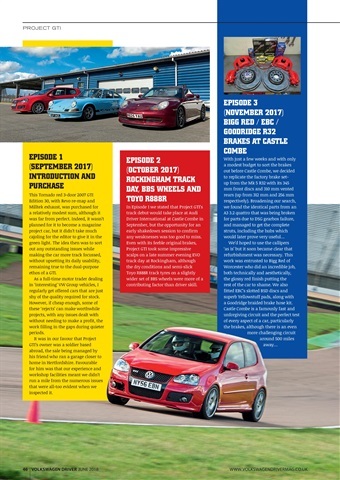 March 2014 : Fifth Gear finally included the piece with my Mk4 Golf R32 which was filmed at Millbrook Proving Ground in September 2013. I had a cameo role changing the oil on it between Vicki thrashing it up the mile straight to see if new oil makes the car any quicker up to 100 mph. April 2014: After 17 years, at last a front cover!! 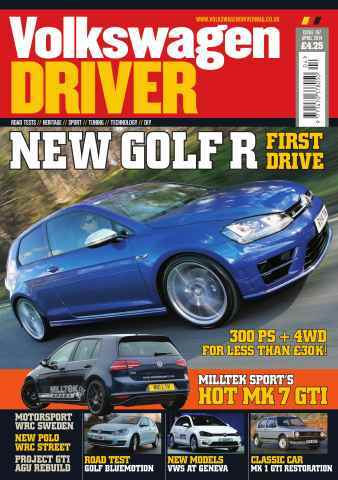 The April 2014 issue of VW Driver magazine saw me and my brand new Mk7 Golf R over 5 pages and as the main image on the front cover. I was describing the buying process from when the idea to buy one was hatched, to first impressions after delivery. 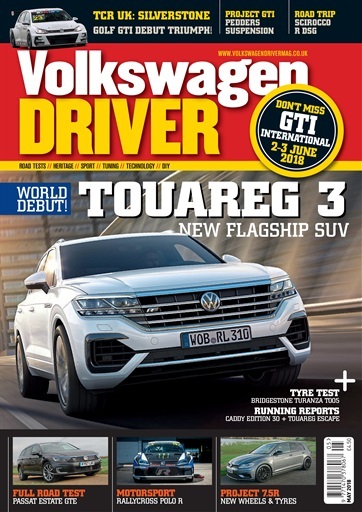 Even after just 2 days with the car, the deadline for this issue, I could tell it was something special, and this was confirmed by road tests in the top monthly magazines who to this point hadn't really rated any VW R model. 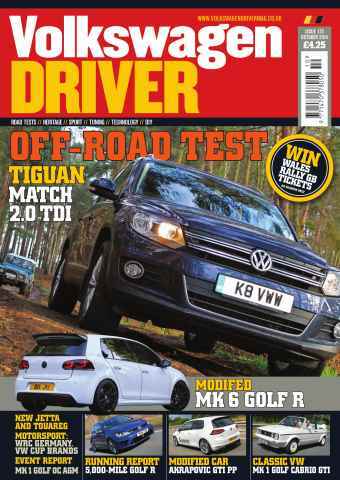 By around a week, this issue of VW Driver was the first UK magazine to publish any sort of test of a Mk7 Golf R on UK tarmac. December 2013: In September 2012 I went to the Swiss Alps and bought a low mileage B5 RS4 for the trip with a view to fulfilling an ambition and maxing one on the autobahn. Sadly I only managed 150mph but I can be forgiven as when the cambelt was changed weeks later it transpired the timing was out killing performance. Not sure why this story was held back for so long but I must go back at the Swiss passes are the best. December 2013 : I managed to buy a nearly new Golf GTD at a good price, one of the last batch before production switched to the Mk7 and a few days later pointed it down the M5 to a chilly Cornwall. 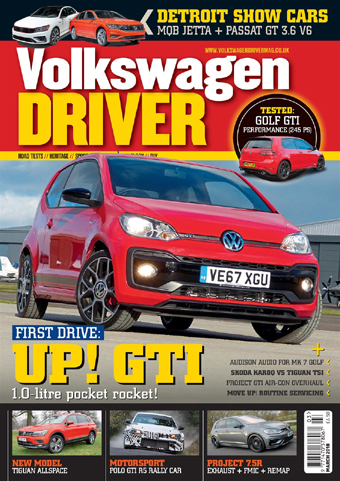 This road trip compares the GTD to the GTI, is it finally a worth rival or just a derv drinking deception? 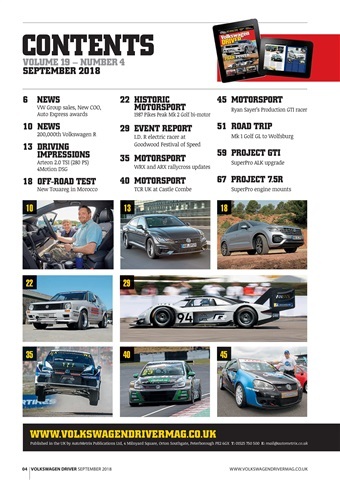 October 2013 : A relatively boring trip to the Belgian Grand Prix in the August turned into highly concentrated petrol head paradise with Rallye Deutschland occuring the same weekend just 60 miles away as well as a visit to the nearby Nurburgring and flat out blasts on derestricted autobahns. In fact the F1 was a bit of an anti-climax in comparison! 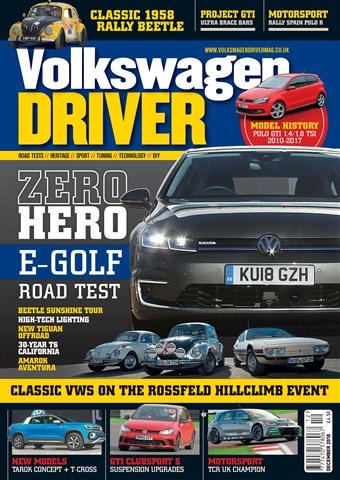 2012: When Vicki Butler-Henderson wanted to sell her Mk2 Golf GTI 16v she was advised by 2 separate parties to get in touch with me and in return she gave Volkswizard a mention in her Daily Telegraph article about her time with the car. I was proud to handle it as remembered it from a Top Gear magazine "Young Driver" supplement from the late nineties. It took quite a long time to get ready for sale as. I wasn't really motivated to do anything during the winter as the market for these kind of cars is weak then. When Spring came along though I got cracking and found a buyer for it, which was just as well. Our paths crossed at a Porsche driving day at the Silverstone Experience centre in May 2013, luckily one day after I'd secured the car's sale. If I still hadn't sold it by then, it would have been rather embarassing! Vicki was great (as always) and signed some photos for the new owner and posed for some photos. This on a day when I'd already been sliding my 911 (997) Carrera 4S around the Porsche Experience centre's test track! 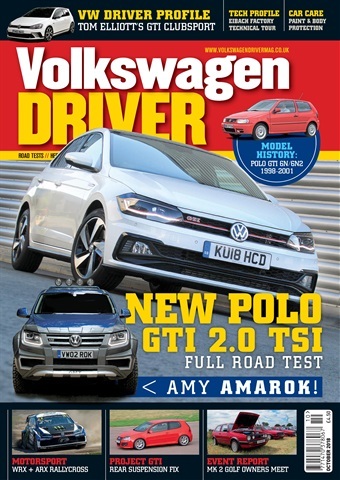 2012: In late summer 2012 I was contacted by VW Driver editor Neil Birkitt. He'd found a slightly ropey sounding Golf V6 4motion in south west Birmingham which he planned to convert to LPG. I accompanied to view it thinking that would be that but it ended up with me for a few months during which many loose ends were dealt with culminating with a new MOT. 2012: I can be a bit impulsive and while I am very loyal to the VW Group, I do read Evo so when a 5 star Evo car comes up for under £1k it can be hard to resist. This 306 GTI-6 was so tidy it was weird and Pistonheads also thought it was a bargain when they chose it as "Shed of the Week" in November 2012. I'd always wanted a Corrado VR6 and this one which I sold in 2007 was offered back to me. 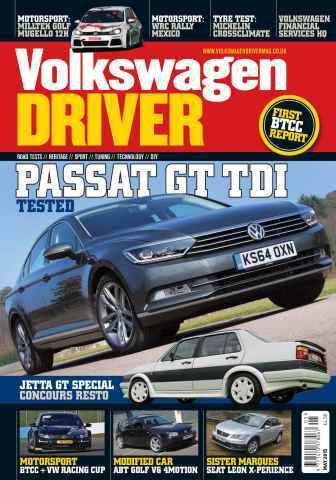 It needed some love which was what the feature in Jan 2012 VW Driver mag concentrated on but its history and spec made it worth the effort. However due to lack of use I sold it 13 month after purchase while this issue was still on the shelves. The first Corrado VR6 I ever drove was registered as H15 VRG and owned by a chap near Doncaster. 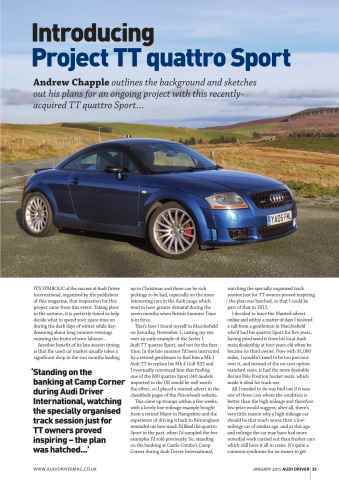 Probably the highlight of my writing career was the B7 RS4 buying guide published over 2 issues in Audi Driver magazine (Feb & March 2011). This is part 2. Too much time spent on www.rs246.com tapping into the expertise of others was responsible for this dare I say definitive guide which made the Evo version published a few months earlier look pretty thin. 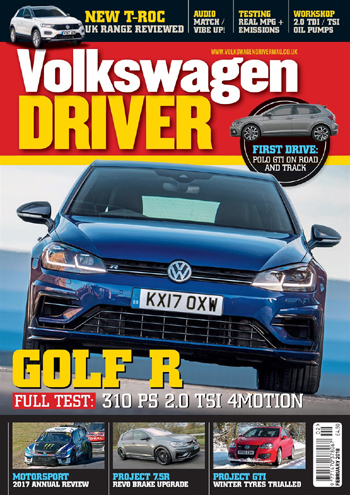 I've bought and sold a few Golf R32s and 2010 seemed to be a particulary R32 heavy year so in the summer I wrote a buying guide much on the lines of the RS4 one which was published in the October 2010 issue of VW Driver magazine. 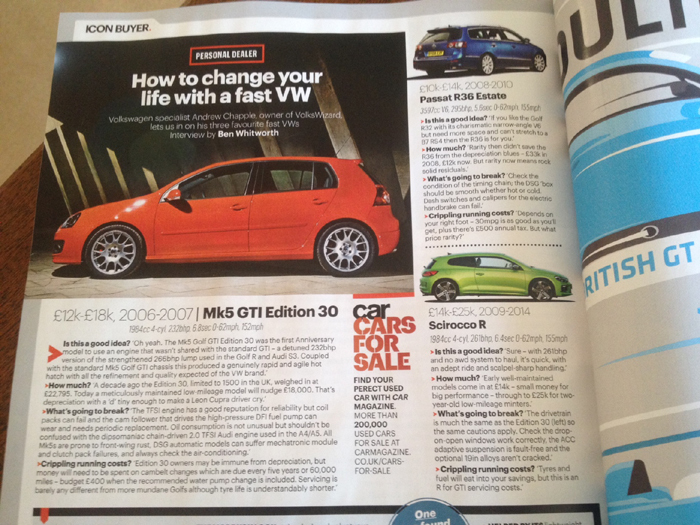 Bit of trivia - the first R32 I ever drove was the one on page 5 back in 2003, a press office car also used on Top Gear. 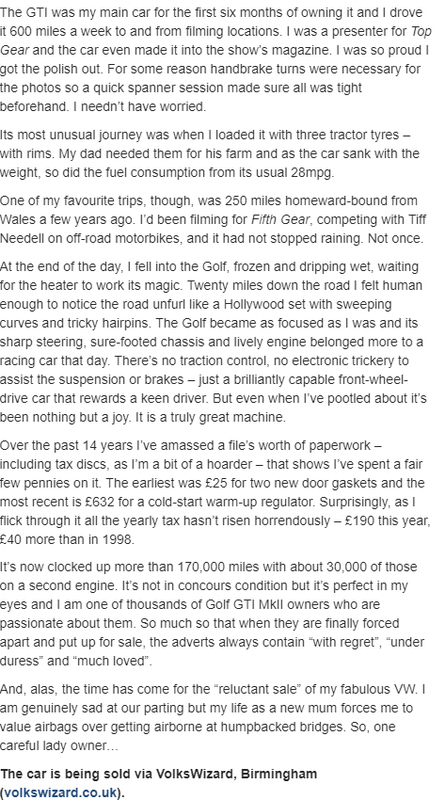 Again another one written by someone else about one of my cars, a very special Mk2 Golf GTI then owned by concours stalwart and all round good egg Chris Burt from Daventry. I think it's fair to say this is a 'Marmite' Mk2, even I am still undecided! October 2010 VW Driver magazine. 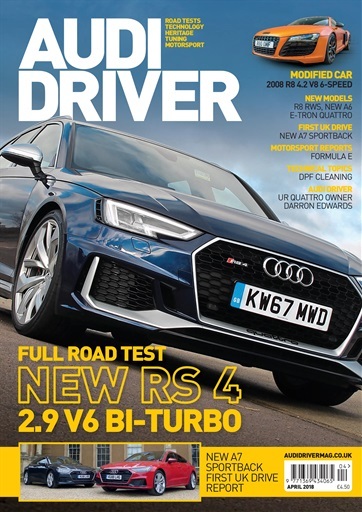 Having owned my 2nd B5 RS4 for a year I was able to write a comprehensive buying guide for the model which was published in the February 2010 issue of Audi Driver magazine. I had taken inspiration from the buying guides in Evo Magazine which up until a few years ago were were very good. 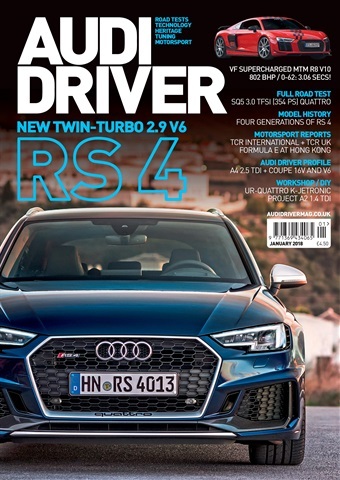 In fact I even emailed them offering them this guide but they have never been big fans of the B5 RS4, instead they did one on the Porsche Cayenne of all things! In 2007 I was lucky enough to be offered this great track prepared Mk2 GTI 16v and in the ideal world I'd have kept it indefinitely because building one like this would have cost £10k +. I did keep it for a few years eventually selling it in 2010 due to lack of use - it was way too hard for road use and the shortened final drive ratio made it very noisy when cruising. This a summary of the ups and downs of owning a B5 RS4 based upon my experience of one during 2007 & 2008. 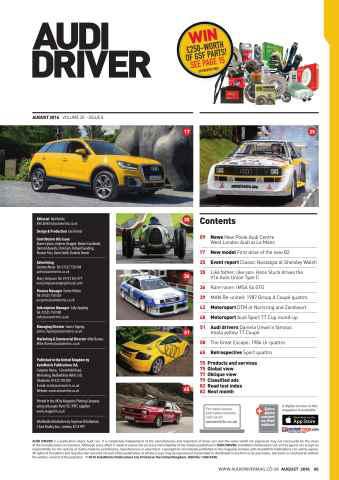 It was published in the May 2008 issue of Audi Driver magazine. Trivia time - the car shown was one of just 3 of the UK allocation of 400 specially ordered in Denim Blue at an extra cost of £1500. I sold it to a friend of a friend and it lives around a mile away from me now. The last pic was taken at Spa on return from the 'ring in April 2007, the track was being redeveloped so we just drove on! When I started Volkswizard I soon decided I needed some premises and in 2002 I stumbled across where I have been based ever since. It was a stroke of luck that my neighbour there was Leslie Wilson who was preparing cars for the VW Racing Cup and was a great mentor to me. Darelle featured here was his son and was a great driver, here is some You Tube footage from Donington Park. Writing this to help his career path was the least I could do. February 2007 VW Driver. 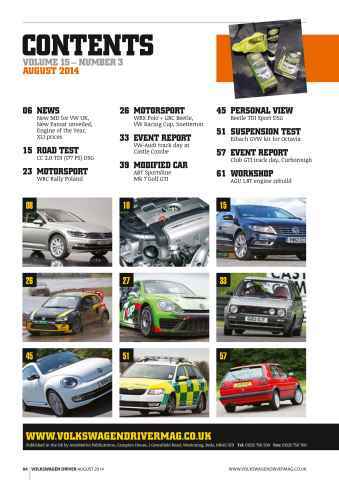 March 2006 saw VW Driver publish my DIY guide on replacing V6 4motion cooling fans. 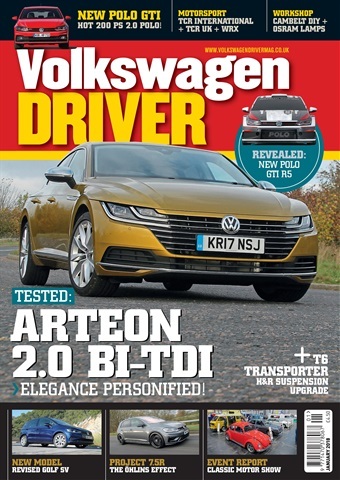 This was an annoying quality issue with V5, V6 and TDI 150 fans that VW should have helped rectify. Instead owners were left to fund £500 worth of fans plus fitting. I'd guess that 80% of cars out there will have faulty fans but luckily it doesn't cause too much damage until they completely pack up after which you'll soon need an aircon compressor and possibly an engine. This was one of my favourite features - great cars, great weather, great owner, great location, great photos. Roy was a good customer of Volkswizard when I could tempt him away from his local VW dealership! He worked at Silverstone so we had the place to ourselves one Saturday afternoon in Spring 2005. 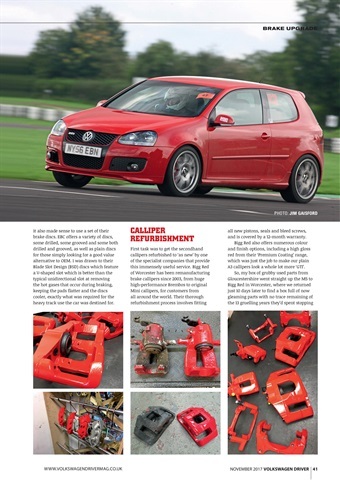 This feature made the GTI Special issue of VW Driver magazine in June 2005. Inspired by Evo road trips, Nov 2003 saw me and friend/photographer Paz Chauhan hot foot it across Northern Europe to Wolfsburg to visit the recently opened VW theme park, Autostadt. I saw my first Golf V there on display inside as the infamous 'Golfsburg' world press launch had just taken place. The A4 used wasn't too bad, its 20v 1.8 engine was hungry for high revs so ideal for 100mph+ cruising and even then did 100 miles to £10 of unleaded, those were the days..
Not long after I started at Dark Lane, my neighbour Les Wilson began building this racing Bora from a 1.6 road car. There were numerous issues but they got there in the end with Mark eventually coming 2nd in the VW Racing Cup. 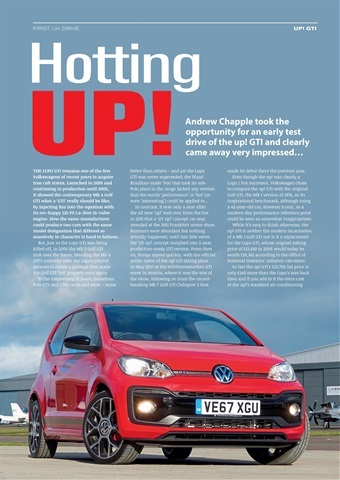 The Bora made it to GTI International one year (I suspect 2004) and Mark let me and Les join him to have a go on the sprint, let's just say the results were unexpected...For a season the car was sponsored by VW Driver and I wrote a monthly report on how it was doing. . 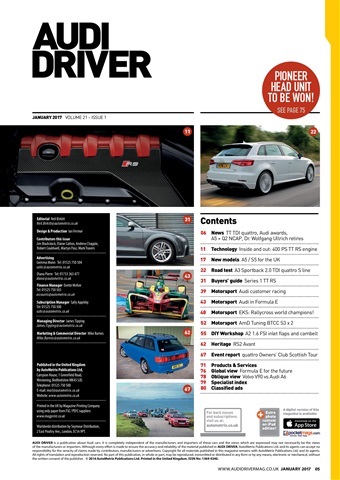 This is a write-up about how VAG COM is so useful from December 2003 Audi Driver magazine. With a further 8 years of daily usage of VAG COM (now VCDS) behind me, its still proving a priceless piece of kit - what was depicted here was just scratching the surface. I bought my first VR6 from a big garage in Fulham who taught me a lot about how not to sell cars - 1) the rear axle bushes were totally gone so when I joined the A40 to come home it felt like the rear axle was loose 2) they carefully removed their name from the top of their pre-printed invoice which made it worthless in law. Oh well, I put it down to experience and had a lesson in the importance of good rear axle bushes and how not to have repeat business. The early days of Volkswizard. The Capri Green Jetta 16v was bought from a long term owner in Peterborough on a dank Feb evening in 2002. The red 16v was sourced by me from chap in Barnoldswick, Lancs in the summer of 2001, sold promptly to a chap from Oxfordshire who spent loads on it and then sold it back to me, something he did a few times in the following couple of years with different cars. This is what I did on Saturdays before Volkswizard sapped all my time. 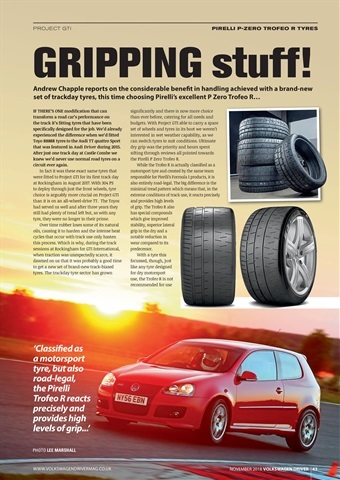 I wrote this and took the pics which came out OK considering the bright spring sunshine and gleaming white car. Paul sold the white Mk2 to someone who added many thousands of miles very quickly so it didn't remain 'mint' for much longer. The photo location was Walton Hall, a hotel in Warwickshire and had been used frequently by magazines including an S4 2.7T feature and a BR Motorsport Zender VR6. 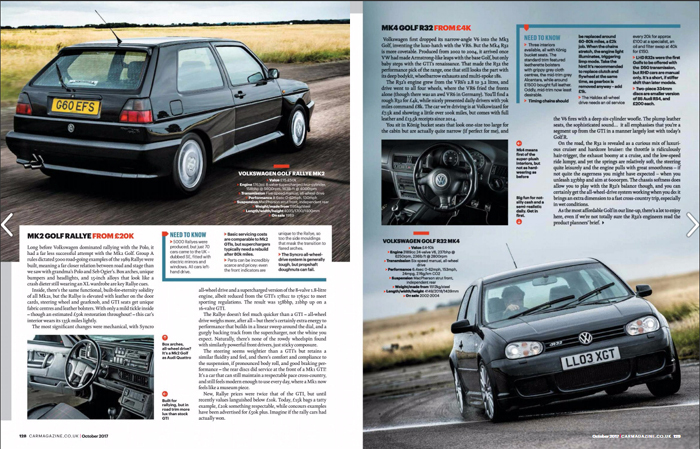 September 2000 saw VW Driver magazine publish a self-written piece on my Mk3 Golf GTI Anniversary. I scrimped and saved to get one of these and had to settle with a high mileage ex-fleet car but it served me well over the year I owned it, only selling to increase my car buying capital.